The interior of the Leavitt Theatre in Ogunquit, Maine. And now for a silent film series where the theater is part of the show! Really: the Leavitt Theatre in Ogunquit Maine first opened as a moviehouse in 1923, and has remained pretty much unchanged ever since. Yes, there's upgraded digital projection and sound so first-run films can be run during the summer tourist season. But the building itself, inside and out, gives you essentially the same movie-going experience as it did in 1923. Same wooden sloping floors, same wooden seats, same plain Maine decor. Three cheers to longtime owners Peter and Maureen Clayton for keeping the Leavitt going since the mid-1970s. And best of luck to son Ian, who is assuming more responsibility for programming and running the theater this season. The Leavitt's ticket booth has guarded the theater's entry for decades. We've been doing silent film with live music at the Leavitt for a few years now, and it's back on the schedule this season—a total of seven film programs from now through Halloween. I'm grateful to the Clayton family's support of silent film with live music, and we've been getting good crowds, too. So it's a great place to get the "total" silent film experience: the picture and live music, but also the crucial element of seeing a film with a large audience. First up is Buster Keaton's classic feature comedy 'Steamboat Bill Jr.' (1928), which we're running on Thursday, June 4 at 8 p.m. Admission is $10 per person. For more information about this year's silent film series at the Leavitt, check out the press release below. OGUNQUIT, Maine—Classics of the silent film era will return to the big screen starting next month at Ogunquit's Leavitt Theatre, which will host a season of vintage cinema with live music in the historic facility. Most screenings will be on Thursday evenings and will begin on Thursday, June 4 with the Buster Keaton comedy 'Steamboat Bill, Jr.' (1928). The series runs through October, concluding with a Halloween screening of Alfred Hitchcock's early horror classic 'The Lodger' (1927), to be shown on Saturday, Oct. 31. A total of seven programs will be offered in the series. Films will include comedies by Charlie Chaplin, Harold Lloyd, and Harry Langdon. Dramas include MGM's epic silent version of 'Ben Hur' (1925) as well as 'Wings' (1927), a blockbuster film about World War I aviators that won the first-ever Academy Award for Best Picture. Buster Keaton and Ernest Torrence in 'Steamboat Bill Jr.' (1928). 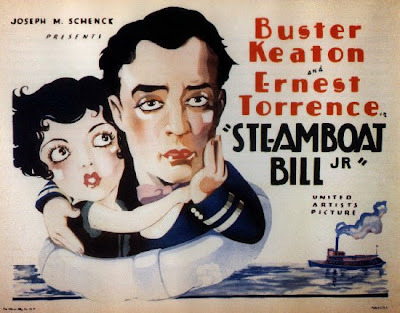 First up in the Leavitt's series is 'Steamboat Bill Jr.' (1928), a classic silent film comedy starring Buster Keaton. In 'Steamboat Bill Jr.,' Buster plays the bumbling son of a riverboat’s rough-hewn captain. When a rival brings a newer boat to the river, the family is forced to face competition, just as Buster is forced to ride out a cyclone threatening to destroy the community. Can Buster save the day and win the hand of his girlfriend, who happens to be daughter of his father's business rival? • Thursday, June 18, 2015, 8 p.m. 'Wings' (1927) starring Clara Bow, Charles "Buddy" Rogers, Richard Arlen; directed by William Wellman. Sweeping drama about fighter pilots in World War I; one of the great achievements of the silent cinema, winner of "Best Picture" at the first-ever Academy Awards. Compelling story, great performances, battle scenes filmed on an immense scale, and in-air aviation sequences that remain thrilling even today. • Thursday, July 30, 2015, 8 p.m.: 'Silent Comedy with Harold Lloyd.' See why Harold Lloyd was the most popular performer of the silent film era. Instead of getting ahead, his everyone man character (a nice young man with horn-rimmed glasses) had a knack for getting into spectacular trouble, often requiring him to overcome amazing odds to win the day. • Thursday, Aug. 6, 2015, 8 p.m.: 'The Kid' (1921) starring Charlie Chaplin, Jackie Coogan. Chaplin's landmark comedy/drama about a man who raises an infant against all odds. As the film tells us: "A story with a smile, and perhaps a tear." Highlighted by amazing performance of four-year-old Coogan, who matches Chaplin pratfall for pratfall. 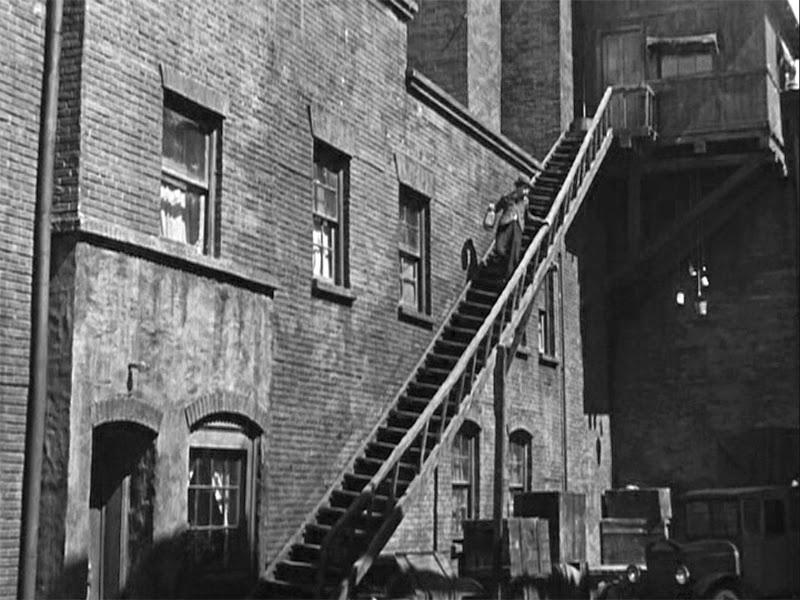 Also, two of Charlie's earlier slapstick comedy shorts that helped establish him as a star. • Saturday, Oct. 31, 2015, 8 p.m.: 'The Lodger' (1927). A serial killer is on the loose in fog-bound London. Will the murderer be caught before yet another victim is claimed? Just in time for Halloween, suspenseful British thriller directed by a very young Alfred Hitchcock. The program is subtitled 'Chiller Theater' due to the theater's lack of central heating. 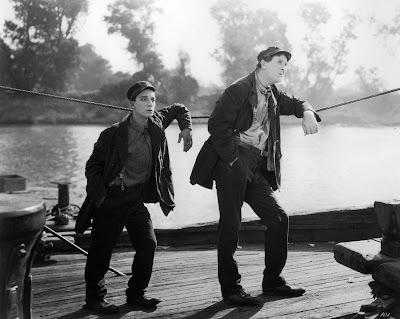 Buster Keaton's classic comedy 'Steamboat Bill Jr.' (1928) will lead off this season's silent film series on Thursday, June 4 at 8 p.m. at the Leavitt Fine Arts Theatre, 259 Main St. Route 1, Ogunquit, Maine; (207) 646-3123; admission is $10 per person, general seating. For more information, visit http://www.leavittheatre.com. For more info on the music, visit www.jeffrapsis.com. 'The Birth of a Nation' returns to Wilton, N.H. Turns out our screening of 'The Birth of a Nation' (1915) on Sunday, May 24 is actually a rerun! Yes—in the spring of 1916, D.W. Griffith's epic film enjoyed a three-day engagement at the Wilton Town Hall Theatre. I learned about this just a few days ago courtesy Jeff Klenotic, associate professor of film at the University of New Hampshire. "I’m not sure if you or Dennis are aware of this, but Wilton Town Hall Theater presented Birth of a Nation for a three day run on May 15, 16 and 17 in 1916. It was shown with a full touring company of musicians known as the “Birth of a Nation Symphony Orchestra” that traveled with the film as it played from city to city and town to town. Tickets were 50c, 75c and $1 and they showed two screenings per day. 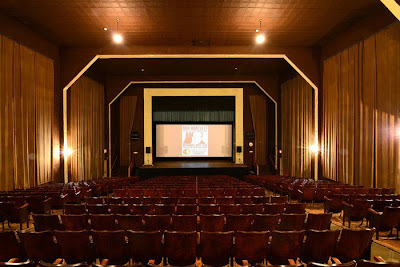 The Wilton Town Hall Theatre, where movies have been screened since 1912. "People traveled for miles to see the film, and a special train was run from Milford to accommodate people from there who wanted to see the film. 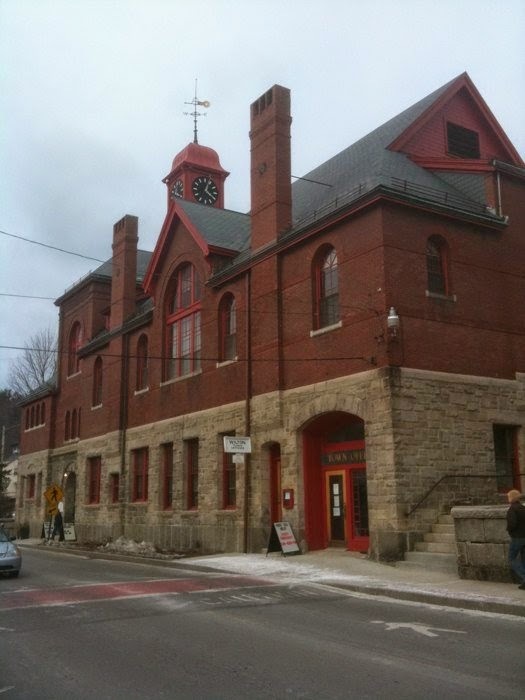 Originally, Milford wanted to get the film, but the movie theater there was too small (300 seats) and the Town Hall couldn’t get fire insurance that would allow them to screen the picture. Apparently, a heavy dose of rain subdued attendance, but the film was nonetheless hailed as a success." Wow! 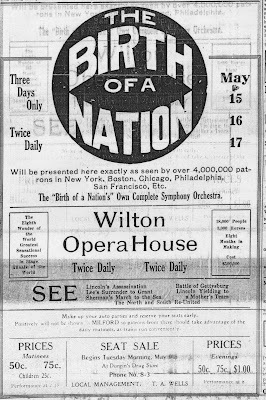 It's a pretty safe bet that 'The Birth of a Nation' hasn't run in Wilton since this original engagement, so the resulting 99-year gap must be close to some kind of record among movie theaters. One thing we have going against us is the weather. The Sunday of the upcoming Memorial Day weekend promises to be spectacular! Unlike the promoters of the 1916 screenings, I'd much prefer rain, as that tends to help attendance. But rain or shine, our return engagement is one show only: on Sunday, May 24 at 4:30 p.m. Don't miss it, or you might have to wait another 99 years for it to return. "The website is designed as a public resource and I think some of your silent film followers might be interested in exploring it. The name of the project is "Mapping Movies" and the web address is: http://mappingmovies.unh.edu/maps." 'Birth of a Nation' on Memorial Day weekend? Well, it actually makes a lot of sense, I think. 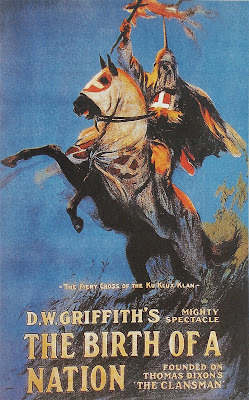 Okay, let's face it: 'The Birth of a Nation' (1915) is a film flawed by racism. Just check out that poster above! That should be obvious to anyone who sees it. But does that mean no one should ever see it? I deal with this question every time I program 'The Birth of a Nation' or accompany it. 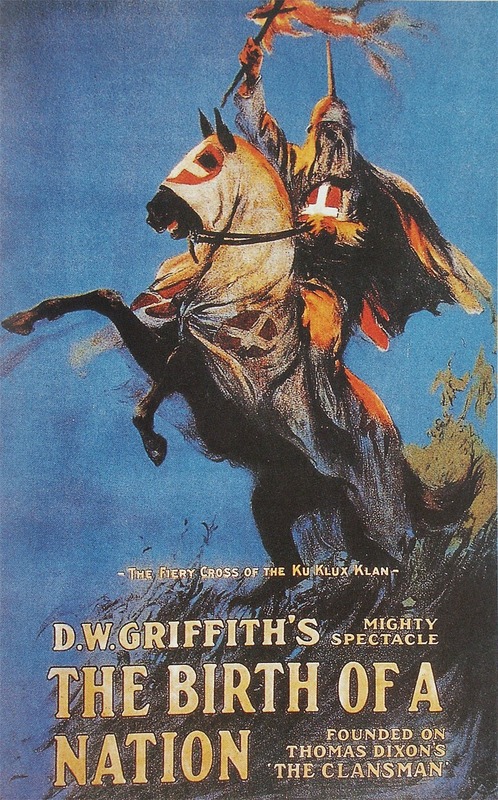 This ancient D.W. Griffith movie basically depicts black people as inferior to white people and makes heroes out of the Ku Klux Klan. How can anyone justify showing it? Indeed, some people feel strongly that the film should never be shown. Instead, it should just stay locked up and kept out of sight. Well, I disagree—obviously, as I'm doing music for 'The Birth of a Nation' for a Memorial Day weekend screening on Sunday, May 24 at 4:30 p.m. at the Wilton (N.H.) Town Hall Theatre. • First, I feel the film amounts to a valuable primary source. It vividly shows the pervasiveness of racism in America at the time it was made. As the late Roger Ebert pointed out in remarks I quote below, that's something worth knowing. • And then there's the undeniable effect that 'The Birth of a Nation' had on the early motion picture industry. 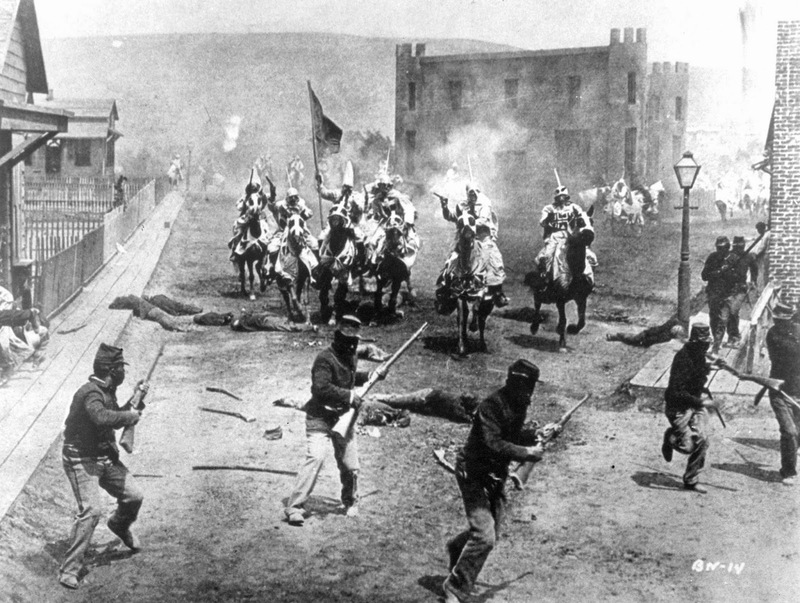 In making the film, director D.W. Griffith demonstrated the power of cinema on a grand scale. And Hollywood would never be the same. • Finally, I think all the big Griffith films ('Birth' included) really do need to be screened in their original environment for their impact to be appreciated. By "original environment," I mean in a theater, with live music, and—most importantly—with an audience. So that means actually running the film. For a few years now, I've made a point of scheduling 'Birth' in January in honor of the Martin Luther King Jr. I felt the holiday was a perfect opportunity to showcase what King and so many others had to battle. But now it occurs to me that Memorial Day weekend is a good time to show the film, too. It's partly rooted in the history of this solemn holiday. 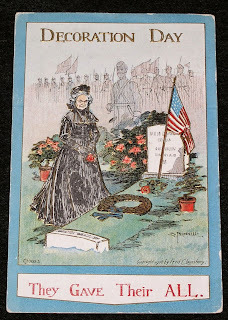 Memorial Day grew out of Decoration Day, which originally arose in the 19th century as a time for communities across the nation to honor their Civil War dead. Because 'Birth' is all about the Civil War and its aftermath, about because this year marks the 150th anniversary of the Civil War's end, it seemed to me that Memorial Day Weekend was a fitting time to screen this film. It's also the 100th anniversary of the film's original release, so that counts for something, too. But even without these anniversary tie-ins, it's still a film worth screening—not to promote racism, but so that we don't forget the extent of it during a time that no one today has any first-hand experience of. Film (even a fictional tale) as a primary source. I'm not an academic, but I think as more time passes, old cinema will increasingly help illuminate times long past. Imagine if we had some film from Shakespeare's time? Or from the time of Christ? Imagine how much such film, even it was purely fictional stories, could tell us about the times in which it was made? I've been working my way through some audio lectures about Western Civilization lately, and it's amazing how excited scholars get over the most mundane of scraps of info that have come down to us. So I can't help but think: wouldn't it be great to find a romantic comedy filmed during, say, the reign of Pharoah Snefru of Ancient Egypt? 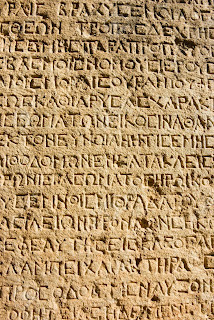 While I'm at it, I recently learned that the only major civilization to learn how to read and write, and then totally forget how, were the ancient Greeks prior to the time of Socrates. 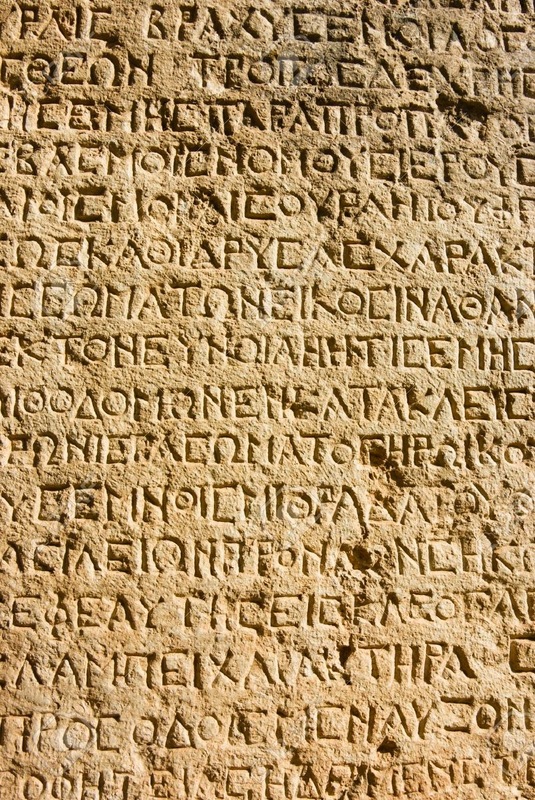 For about five centuries, during what's called the "sub-Mycenaean" period, there's no trace of any writing. They became illiterate! We're heading in that direction in this country, so don't think it can't happen, folks. ‘The Birth of a Nation’: Silent film masterpiece or racist artifact? WILTON, N.H.—What if a movie was acclaimed as a masterpiece, but portrayed the Ku Klux Klan as heroes? What if a movie aimed to show the realities of life during the Civil War, and yet used white actors playing roles in blackface? What does it say if a movie was clearly racist, depicting blacks as an inferior sub-species to whites, but was still a box office smash? 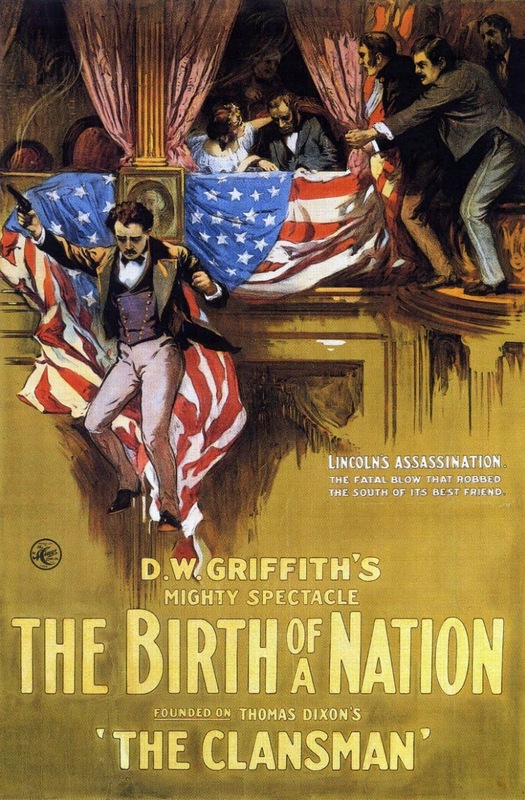 Those are among the questions posed by ‘The Birth of a Nation’ (1915), the ground-breaking epic film from director D.W. Griffith, which continues to inspire controversy a full century after its initial release. In honor of the film's 100th anniversary, as well as the 150th anniversary of the end of the Civil War, a restored print of the film will be screened on Memorial Day weekend at the Wilton Town Hall Theatre, 60 Main St., Wilton, N.H. The screening, part of the Town Hall Theatre’s silent film series, will include live music and take place on Sunday, May 24 at 4:30 p.m. Admission is free and the public is welcome. A donation of $5 per person is suggested. The program will be accompanied live by silent film musician Jeff Rapsis. 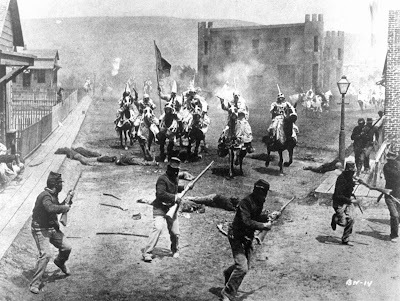 Although the film is regarded as a masterpiece tarnished by racism and prejudice, Memorial Day weekend was chosen to screen ‘The Birth of a Nation’ because of the recent 150th anniversary of the Civil War's end. 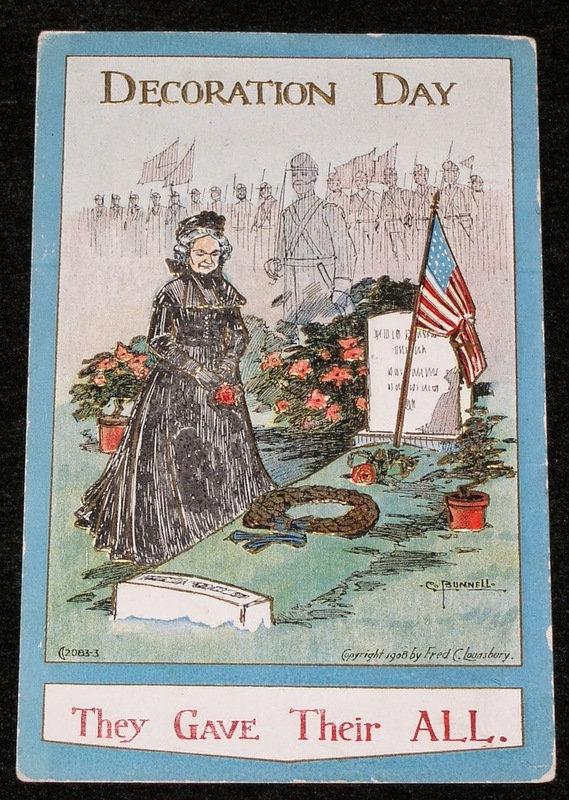 Originally known as Decoration Day, Memorial Day originated in the years following the Civil War and became an official federal holiday in 1971. “Screening this compromised classic is a chance for today’s audiences to consider first-hand evidence of the obstacles to race equality that existed a century ago, to think about what progress has been made, and to also ponder how many of the prejudices on display in this film that we may still harbor, even unconsciously,” Rapsis said. Seen today, the film abounds with offensive racial comments and imagery both overt and implied. To further complicate matters for contemporary audiences, Griffith had all leading roles of black characters played by white actors in blackface; black actors were kept in the background or used only for crowd scenes, which lends the film a surreal quality to modern viewers. Among the white actors in blackface who played prominent roles is New Hampshire native Walter Long, a popular character actor in Hollywood's early years. Records are unclear about his hometown: Long was born in either Milford or Nashua in 1879. The controversy continues today, with ‘Birth of a Nation’ inspiring passions a century after its release. Has enough time passed for today’s audiences to regard this landmark film as an artifact of its time, or an indication of enduring prejudice? This Memorial Day weekend, decide for yourself how far we’ve come with a screening of a restored print of this tarnished American classic the way it was intended to be seen: on the big screen, with live music, and with an audience. All movies in Wilton Town Hall Theatre's silent film series were popular when first released, but are rarely screened today in a way that allows them to be seen at their best. They were not made to be shown on television; to revive them, organizers aim to show the films at the Rogers Center as they were intended—in top quality restored prints, on a large screen, with live music, and with an audience. ‘The Birth of a Nation’ will be shown on Sunday, May 24, at 4:30 p.m. at the Wilton Town Hall Theatre, 60 Main St., Wilton, N.H. Admission to the screenings is free; a donation of $5 per person is suggested. For more info, call (603) 654-3456 or visit www.wiltontownhalltheatre.com. For more info on the music, visit www.jeffrapsis.com. 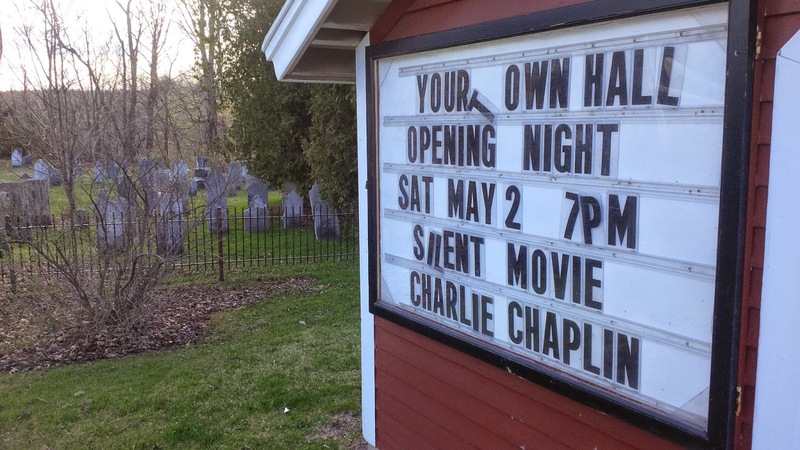 Our Chaplin program killed in Brandon, Vt., although it wasn't responsible for any of the tombstones seen here. A gap in the accompaniment schedule means I'll be taking a break from blog posting, at least until later in May. Just this week, though, my summer performance schedule was highlighted in the Hippo, a weekly lifestyle publication that circulates in New Hampshire. So if you've found this blog through Hippo, welcome! Check out the schedule (click the "Upcoming Screenings" link at upper right) and come experience silent film as it was intended to be seen—in a theater, on the big screen, with live music, and with a live audience. This past weekend was a case of country accompanist / city accompanist. On Saturday night, I drove three hours up to the small town of Brandon, Vt., where we kicked off the 2015 silent film series at the local town hall with a program of Chaplin short comedies. Huge turnout (well over 100 people) and lots of big laughs, so a great start to this year's efforts. 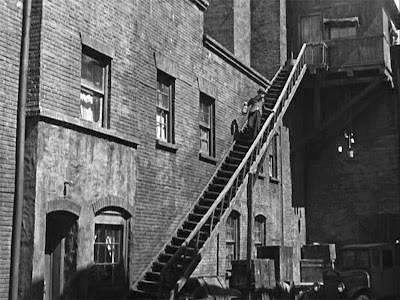 Then on Sunday afternoon, I drove one hour down to Boston, where a screening of a 35mm print of Keaton's 'The Cameraman' (1928) drew about 150 people to the Somerville Theatre in Davis Square. Strong reaction on that one, too—especially when, in introducing the film, I asked "Any Yankees fans here?" And finally, Tuesday, May 5 saw our monthly silent film program at the Manchester (N.H) City Library: a screening of Harry Langdon's very odd feature 'Three's a Crowd' (1927). I use the library series to try out films I've never done before to see how they play before an audience. 'Three's a Crowd,' an obscure title which marked Langdon's directorial debut and also the beginning of his rapid popularity decline, got a pretty positive reaction from the 40 or so folks who turned up. Me, I think it's a deeply flawed picture, but I gave it my best. I did come away thinking it's one of those pictures that would benefit from a carefully planned and integrated score, rather than the improv approach I generally use. Come to think of it, that's the area that's starting to interest me more and more—the kind of film that lends itself to a through-composed score. So I may be heading more in that direction, which means fewer screenings but more ambitious music. I think I've learned a lot from the improv approach and gotten a lot of great experience. But now it's time to build on that and come up with some more carefully planned scores that use music to really support a film and help it connect with a contemporary audience. That takes time, which is one thing I'm generally in short supply of. But it's where I feel I want to go, so we'll see. Posting will resume later this month, when we screen Clara Bow in 'It' (1927) on Friday, May 15 at Red River Theatres in Concord, N.H., and then D.W. Griffith's 'The Birth of a Nation' (1915) on Saturday, May 24 at the Wilton Town Hall Theatre.